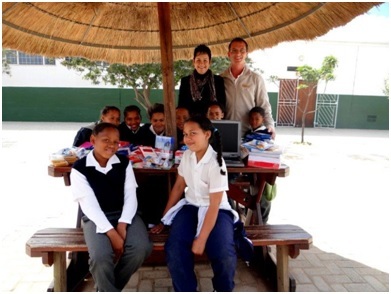 Bushmans Kloof Wilderness Reserve & Wellness Retreat became a member of Pack for a Purpose just over a year ago and nominated Elizabethfontein Primary School as its project. 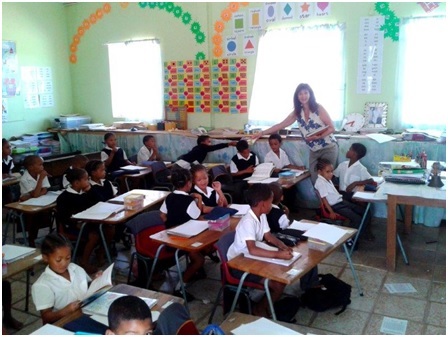 Elizabethfontein is the only school in the rural area in Agter Pakhuis. Its pupils are farm workers’ children, as well as some of our own staff’s children. 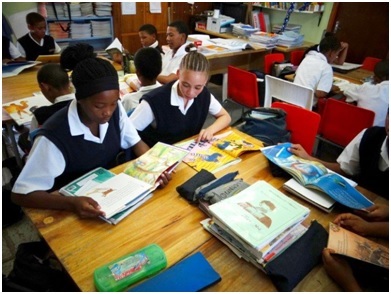 Our aim is to encourage guest involvement, with the key factor being education. The response from our guests, both local and international, has been completely overwhelming. 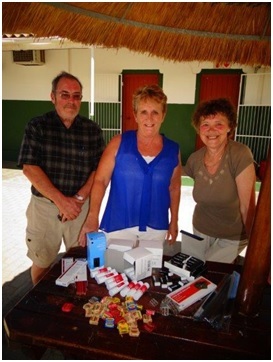 ‘Platinum’ return guests from Ireland recently visited the school with their granddaughter and handed over a 3.5kg parcel to the students. The granddaughter of the guests spent some time with the school children, bringing along a small presentation she made at her school in Ireland to show to the Grade 5 children. She also demonstrated her country’s traditional Irish Dance. 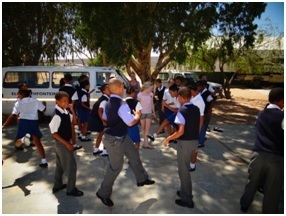 In return, the children performed the local Riel dance! 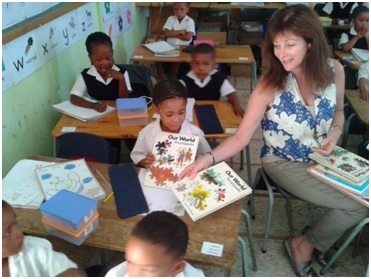 Our staff also visits the school and interacts with the children. It is always a pleasure for our staff to bring the supplies to the school principal and see them distributed to students in the classroom. It is so moving to see the impact this initiative has had on the school, which adds to the quality of the children’s education. We are very proud to be part of Pack for a Purpose and would like to thank all of our guests who have already participated as well as encourage future guests to support our efforts! Through the efforts of Bushmans Kloof’s guests, we are able to help our learners reach for the stars. Thank you for your support from the bottom of every child’s heart!